I'm glad I listened to this. The narrator has a great voice and a nice even tone without the drawback of being boring. It is almost as though I am sitting next to someone that is sharing the stories. What's more, this is a nice short listen for anyone interested in this sort of lore. In regards to the stories themselves, it was hit and miss. Some stories were engaging and others not so much. Overall I enjoyed this. Written in a by-gone era, Twain was ahead of his age. He tells stories that people would find shocking from their pov. Loved reading it. 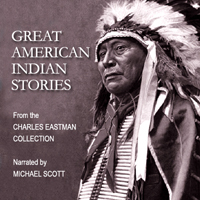 Stories have a gripping genuine quality that provide a glimpse into the lives of the Native Americans.